According to the Danish Foreign Ministry and EU diplomats, the European Union agreed on January 8 to place a unit of the Iranian Intelligence ministry and two of its staff on the EU terrorist list for planning assassinations in Europe. The UK also condemned activities and plots being planned and perpetrated in Europe by Iran. There have also been several reports of Iranian agents being arrested for their involvement in terrorism in Germany, France, Belgium, United States and, most recently, in Denmark. Albania expelled the Iranian ambassador and another high-ranking diplomat on December 19 for their involvement in terrorism. Meanwhile, Facebook, Twitter, Instagram and some other social media have, in recent months, blocked hundreds of pages of accounts for propagating extremism and false news originated in Iran. The statements released afterwards indicate that the parties involved were officials in the Iranian regime rather than individuals. The heartbreaking reality is that those behind creating deceptive accounts as well as those directing terrorism are the same, both officials in the Iranian regime. Obviously, we cannot regard them as two discrete incidents. Restricting the Iranian regime’s use of social media to propagate its extremism and deception is vital in combating international terrorism. Folks in the Iranian resistance, the People’s Mojahedin Organization of Iran, known in US as MEK, who have been victims of fundamentalist extremism, tirelessly, warn us that Iran’s misleading propaganda is a prelude for terrorism. Social media organizations Facebook, Twitter and Instagram, which are global instruments of our peaceful communications, announced they have blocked hundreds of pages belonging to the Iranian regime. The removed pages contained deceptive and misinformation material. The attempt was praised by many who see Iran as a threat. Iran implements these misleading materials to feed its network in Europe and U.S. to mark and defame its opponent and rivals. Iran’s network was revealed, a couple of months ago, when an Iranian diplomat based in Austria was arrested with two others for attempting a terrorist attack on a grand meeting in Paris, organized by Iranian regime’s foes. Similarly, a few others were arrested in Germany, France, United States, Albania and Denmark. Meanwhile the Iranian regime’s propaganda factory has been busy producing false statements against members of the Iranian resistance as well as President Trump’s administration. Many Iranians, opposed to the regime, complain that, like Facebook and Instagram, many pages in Wikipedia are contaminated with misinformation placed by Iran’s agents, a prelude to assassinate exiled opponents abroad. 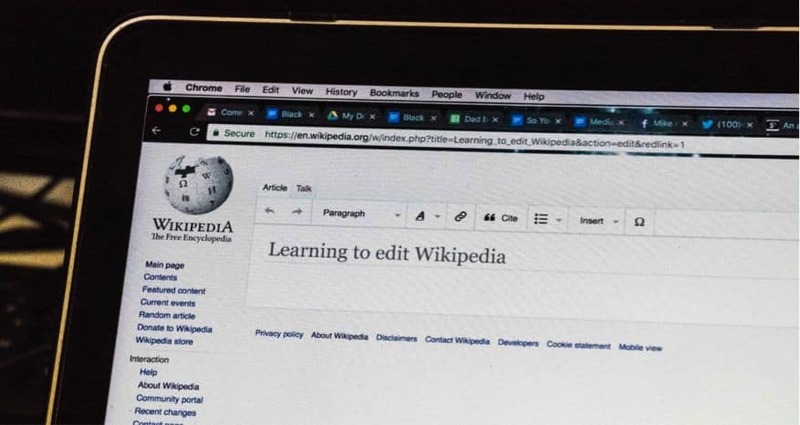 Therefore, they see a need for Wikipedia to review its documents and follow the steps taken by other social media organizations. In mid-August, Facebook removed about 650 phony accounts and pages related to Russia and Iran. Users were attempting to apply political influence in countries such as US, UK, Middle East and Latin America. A network of sham news websites and duplicitous social media identities, managed by agents of the Iranian regime, spread across Facebook, Instagram, Twitter, Google Plus and YouTube, to publish material pursuing the interests of the fundamentalist regime in Tehran. According to fireEye, the cybersecurity company that exposed the misleading information, there were also fabricated accounts pretending the users were liberal Americans. Clues such as cybernetic registration records and account activity which matched working hours in Iran and even user phone numbers and email addresses became evidence. These things helped the security companies find the real users which appeared to be directing the accounts from inside Iran. Spread of misinformation and deceptive material by the Mullahs regime in Tehran is not something new. Iran’s performance in past decades, in the fields of nuclear activities, false information, terrorism, money laundering, etc. … have shown that the Ayatollahs in Tehran cannot be trusted. The regime has a huge apparatus of producing false information. The Iranian resistance, the National Council of Resistance (NCRI), and its main group, the Peoples Mojahedin Organization, PMOI, have been targets of hundreds of books, articles, videos and even movies, containing fabricated information, published by the Ministry of Intelligence, MOIS. Obviously, the ministry would not leave Wikipedia alone. Members of the Iranian resistance including the PMOI, as well as Iranian Arabs, Kurds, or Balochis, have already been targets of terrorist groups affiliated with the Iranian regime. Mojahedin warn each terrorist attack has come after a period of fabricated propaganda. Judiciary systems and the Police in Belgium, Germany, France and Denmark did a great job preventing terrorist attacks that could cause a massive loss of human lives. This could be stopped sooner and at an earlier point. This is how steps taken by Facebook, twitter and Instagram to close false accounts related to the Iranian regime are of high value. A similar responsibility for secure social media urges Wikipedia to go the same path to make its pages more authentic. Iranian terrorism must not receive assistance from Wikipedia.